Organize gear exactly how you want: The Mammut Neon Smart’s clever design literally opens up more options than traditional backpacks. 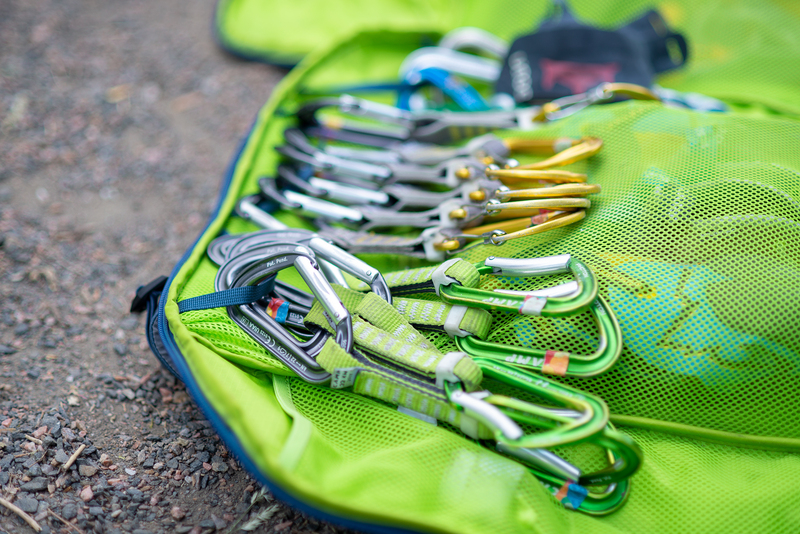 We tested the sport climbing pack over four months to find out how it performs. My quickdraws go on this sling, water bottle there, my tape in that pocket. I’m gearing up for another day of sport climbing on Minnesota’s limestone bluffs with the Neon Smart on my back. Announced last summer and launched this spring, the $130 Neon Smart is designed for sport climbing and day trips. The pack functions as an organizational freak’s dream, with designated pockets and loops for a day’s worth of gear. Unzip the pack, and the standout design component comes to life. The pack unzips entirely, from top to bottom. Fully unzipped, you have access to all your gear, even if you shoved your harness at the very bottom. (Every. Single. Time.) And best of all, laid flat, the pack doubles as a rope tarp. In short: We tested the Neon Smart in Minnesota and Colorado on sport climbing trips and trad climbing days. The Neon Smart delivers as a single-day pack, carries weight comfortably, and holds up to rock abrasions. 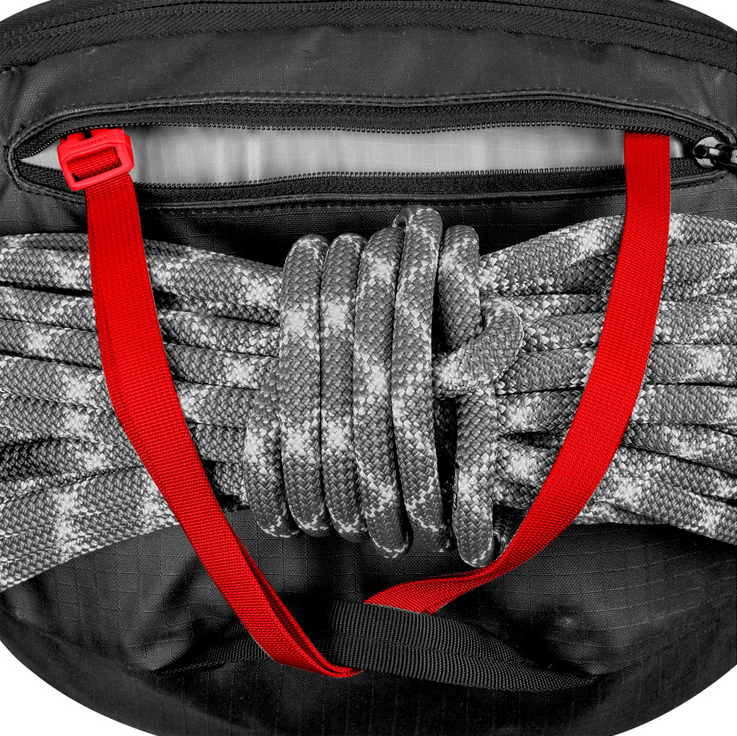 Caveats are its limited rope carry function and lack of waist straps and exterior lash points. The Neon Smart has one main zipper opening, which goes around the side and bottom of the pack. When unzipped, the pack lays flat — a cool feature that lets you access the pack’s contents very easily. Inside sit several mesh pockets, some zippered pockets, and slings at the top for clipping gear. At the bottom of the pack is a mat for cleaning shoes before getting on the wall. In use, it can easily fit a day’s worth of sport gear. 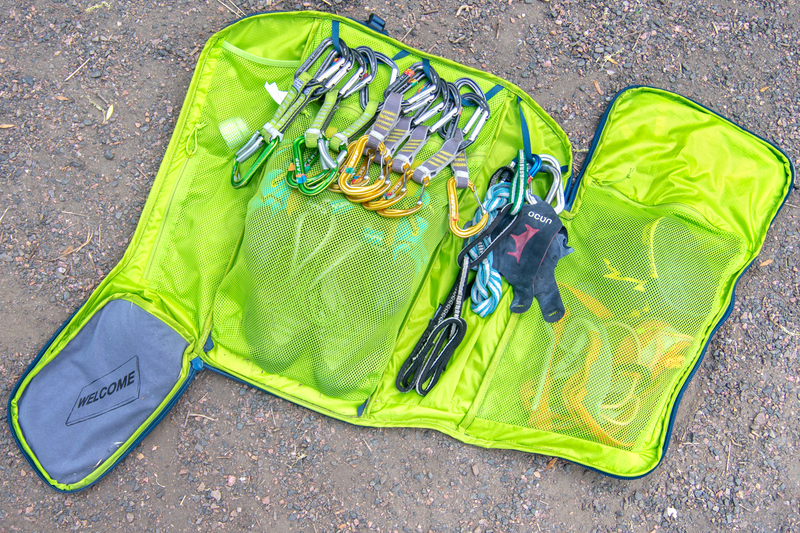 An entire set of quickdraws, climbing shoes, harness, chalk bag, and more all have their place. And the robust materials left me confident the pack wouldn’t break when scrambling or during continued use. And after four months of use, it’s held up. Outside the pack, there’s not much to it. There’s a top pocket for small belongings and fixing a rope as well as a larger side pocket. The shoulder straps are comfortable for short hikes, and the back panel feels sturdy, yet malleable. But shoulder straps are all it has for load stabilization. For closing the pack up, two zippers let you access its contents and can stand up to yanking and continued use. Lastly, it comes with a rope tarp although the pack also doubles as one itself. As someone that’s used to simple top-loading bags, the Neon Smart took some getting used to. But after a few weeks’ use, I noticed I was placing gear in the same place, and I really started taking advantage of the pack’s design. The difference is subtle, but my gear didn’t get tangled up. If I made sure to continuously place my climbing gear in the same spot, I saved time at the crag and maximized climbing. Gone are the days of borrowing my climbing partner’s tape or chalk! Most importantly, I think it’s easier to lose gear that’s unorganized and in a tangled mess. The shoulder pads are comfy for short approaches, and the back panel feels nice against the body. Thankfully, most of the crags I attended didn’t have long approaches. I hiked between five and 30 minutes to get to each. But when the pack was really loaded up, I noticed some strain on my shoulders. Admittedly, I didn’t always use the pack as Mammut markets it. I only really felt this downside when I was trad climbing with a substantial rack. 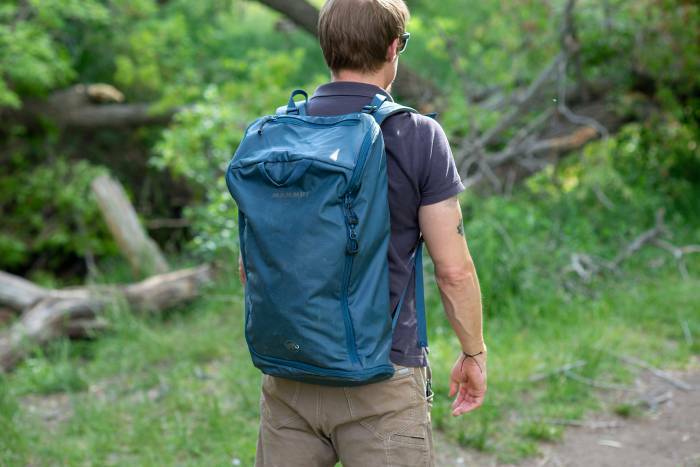 The pack doesn’t have hip straps that would let the load rest on your hips. Continuing, the only way to carry a rope is via a top strap that can feel a little chintzy to use. When thrashing about on steep approaches, the rope is only secure on the top and can flop around. It works but requires attention. Outside the pack, there aren’t places to lash stinky shoes or gear if you’re quickly hopping from one spot to the next. But I was okay with this, as I’m accustomed to stashing everything in the pack. Besides, the Neon Smart is made for placing and organizing items inside the pack. But for sport climbing, where my whole kit is just draws and the essentials, the pack worked great. 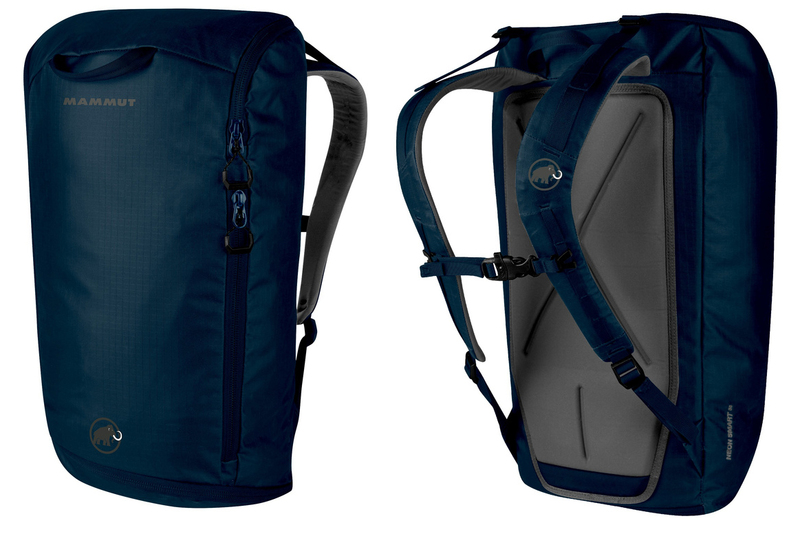 Throughout four months of use, the pack became a reliable companion for climbing trips. I didn’t notice any rips or loss of function in the pack. It has a sturdy build and can withstand abuse. 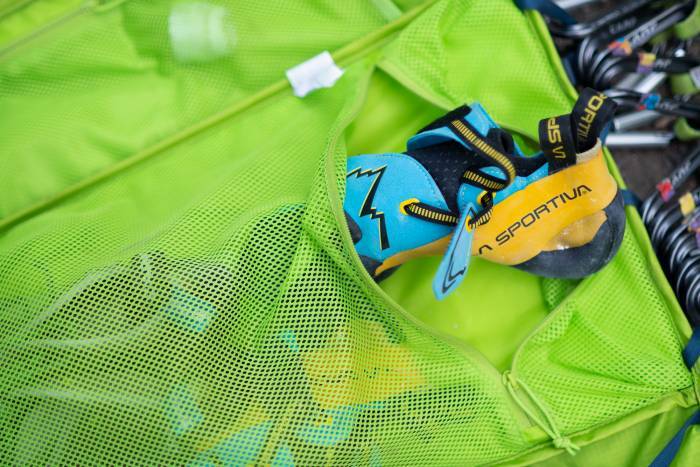 Mammut offers an advanced sport climbing pack in the Neon Smart that should last through years of scrambling and hauling. Those that climb trad, big wall, or ice may want to try more discipline-specific packs. But whether I’m relaxing at the sport crag, or projecting my next route, the Neon Smart is a reliable and dialed option. And if you’re someone that likes to organize, you have got to check one out.